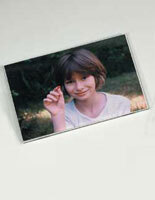 Looking for a great way to display pictures and photos? These fridge frames are an ideal solution because of their simple design. 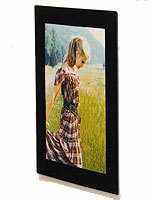 Each of the displays has a thin, sleeve-style fabrication that protects images with a clear lens and they can be purchased in bulk. What makes the fridge frames unique is their quick placement because they have an adhesive or magnetic backer. This also means that they can be affixed to vertical surfaces without additional hardware. All fridge frames in this category have volume pricing and are made with durable acrylic or plastic that prevents graphics from being damaged by moisture and dust. This type of display makes it easy to insert prints with a side insert or wrap-around style overlay. 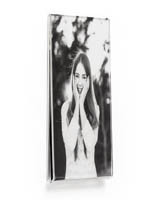 Perfect for promotions, advertisements, and family photographs, these fridge frames are great for both businesses and homes! In retail stores, the graphic holders can be used to inform customers about pricing, special offers and new merchandise. Bulk picture frames with a magnetic backer are ideal for metal fixtures such as cash registers, display cases and appliances, while the adhesive models can be placed on any non-porous surfaces, such as doors, windows, cabinets and walls. In residences, they can be used in any room of the house to show treasured photos and cherished memories. Attention resellers! 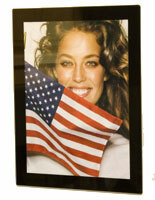 With their already low wholesale prices, these economy picture frames are great candidates for merchandisers. Bulk pricing means extra savings with room for markup! View the quantity discount chart at the top right of each product page for more details.